Audio Technica ATH-ANC9 review | What Hi-Fi? 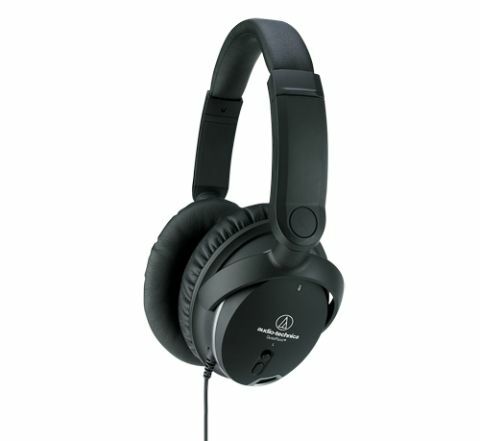 The Audio Technica ATH-ANC9s are lightweight and comfortable – everything you could want if you’re travelling long-haul. They’re a no-frills design, however, so don’t go expecting brushed-metal this and Bluetooth-enabled that. But that, in theory, should work in their favour: after all, if you’re not spending the money on bells and whistles, you’re spending it on performance. The ANC9s’ noise-cancelling abilities aren’t quite up to the best that we've tested, such as the Bose QuietComfort 15 – a lot of the droning low-frequencies of the average workplace or aeroplane are eliminated, but when the music’s off, more extraneous noise gets through. Get some songs going and it’s a dynamic performance. Snares and bass-drums hit precisely and cleanly, and the up-front midrange and treble make vocals and spoken dialogue sound clear and open. We like the energy on offer here, but feel that it could get a little much if you’re listening non-stop for hours on end. Turn the noise-cancelling tech off and the midrange opens out a bit to reveal a more natural sound overall – it feels like the music has breathed a big sigh and relaxed back into itself. There’s nothing majorly wrong with these headphones, however. They do what they do well – but we think there are more effective examples out there. If, however, you’re after an energetic sound and don’t fancy shelling out more money, then give these a serious audition.